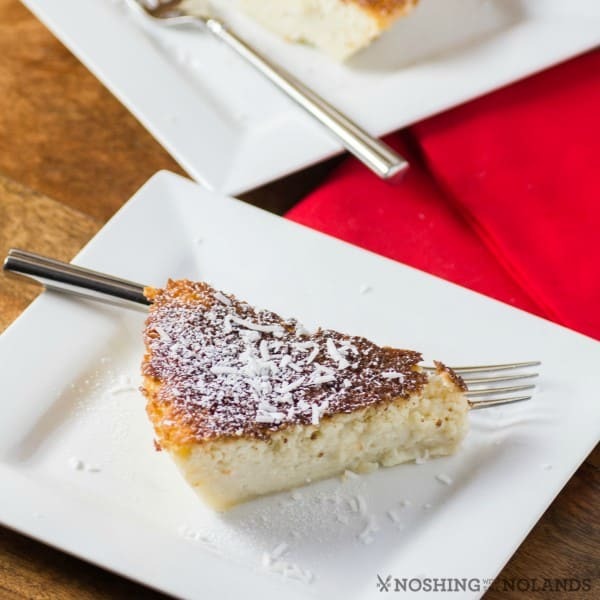 Impossible Coconut Rum Pie is one of the easiest pies ever! 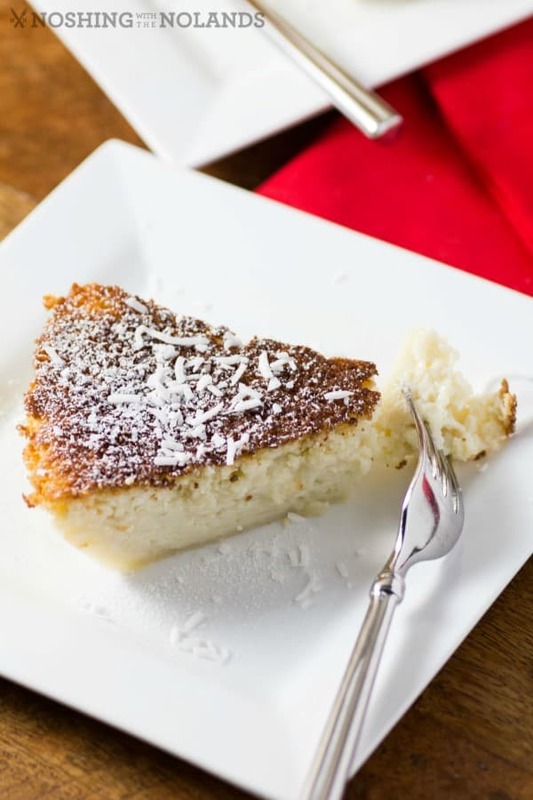 Mom wasn’t a cook at all, really didn’t like it but I was so happy to find first her Mexican Impossible Pie recipe and then this Impossible Coconut Rum Pie. These must have been recipes she found after I had moved out, I don’t remember her making these. Both have turned out fantastically and it was nice to bring my mom back into the kitchen with me. I have made a few impossible pies before and have always really liked them. I shared with you a Cheddar-Corn Impossible Pie that we really enjoyed!! They are so simple for a quick and easy weeknight meal. This dessert can be made for any occasion, the wonderful rum flavor boosts it up a notch!! 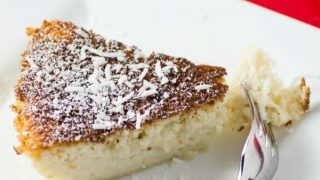 The top is nicely browned giving it extra flavor, the middle creamy and coconutty and the bottom crust tender and delicious. Think this is hard to make, no way, it couldn’t be simplier. All of it is created in a blender and then poured into a pie plate. The impossible part is that is all does the magic in the oven. The top gets a golden brown crust and the bottom gets a tender crust all by its’ self. See how gorgeous that is, you are going to want to make this for sure. The lovely rum shines through and makes this a perfectly tropical experience. The impossible pie craze started back in the 1970’s by Bisquick when the recipes were printed on the back of their boxes. 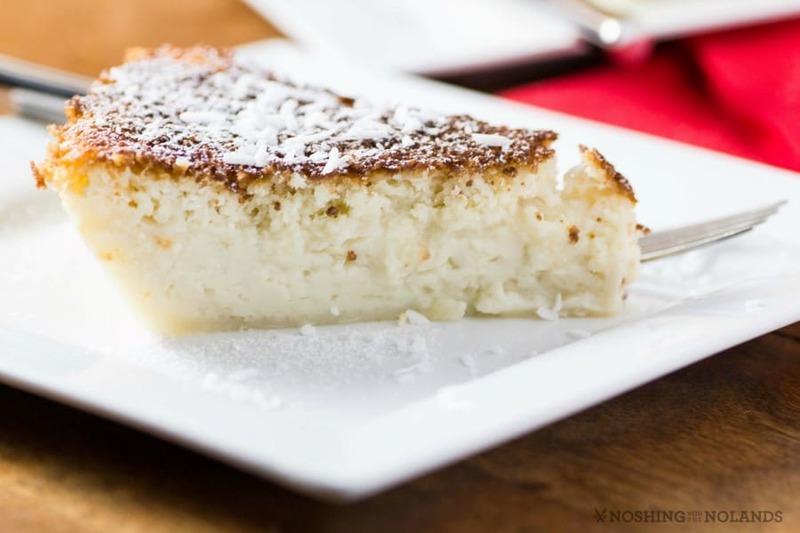 Supposedly the first recipe introduce was a coconut pie like this one. My mom added in the rum to make it a bit more delicious. The coconut pie must have been an instant success and was also well loved in the south where biscuits are a staple. 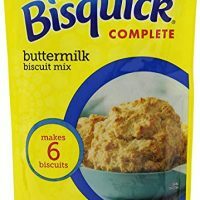 Bisquick soon went about developing many other recipes like the ones I have mentioned above. The combinations with this simple recipe is quite endless so I see why it was so popular then and that it continues to this day! Bisquick now even has a gluten free option which brings these pies to an even bigger audience. I hope you enjoy this one and the many more recipes we have to share with you. A traditional Impossible Pie that is upped to another level with gorgeous dark rum! Preheat oven to 350F. Grease a 9" pie plate. In a blender add all the ingredients and blend for 3 min. Pour into prepared pie plate and bake for 40 min. Let stand 5 min., serve warm or at room temperature. Refrigerate unused portions. This looks great! Special memories are the best. Thank you so much Del!! I am saving this recipe… It sounds so good! It looks great! 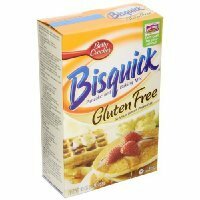 How do I replace the Bisquick? Unless you make a homemade version, an impossible pie it made wth Bisquick. I can’t use dark gives me migraines. Can you use light or rum extract? Yes you can substitute either of those for sure. Could you replace the eggs for a vegan version? Perhaps flax eggs or bananas or applesauce? I am not sure I have never tried. If you do please tell me how it turns out. 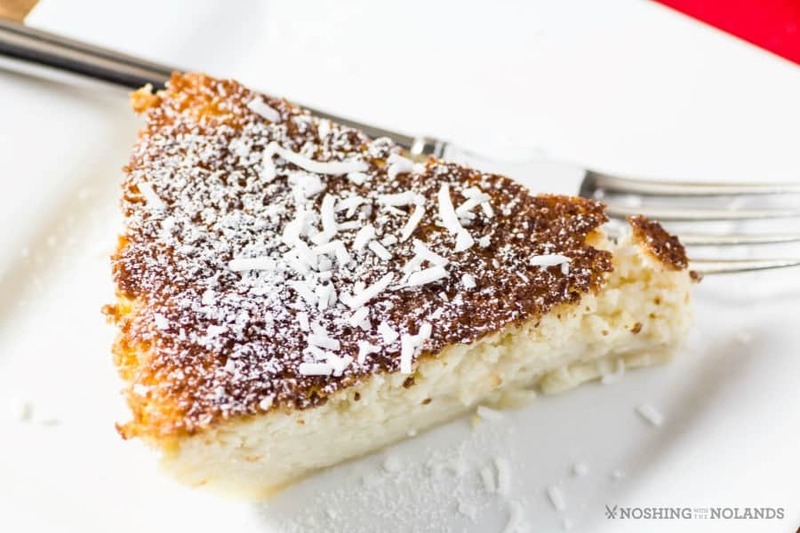 The pie looks fantastic … do you use sweetened or unsweetened coconut?? You should be able to slice it, so more like a quiche. Im confused. Is there supposed to be a crust ? With an Impossible Pie the Bisquick magically makes the crust. .You have to make this pie . Awesome Katherine, so glad you liked it!! Some of my family won’t eat coconut, can I substitute crushed pineapple, if I drain it almost dry? Also can I substitute coconut milk for part of the regular milk? Sounds like a Pina Colada Pie. You can try it Sue but I have no idea how it will turn out. 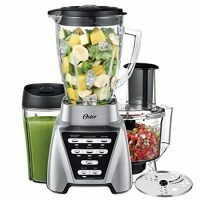 i don’t have a blender, can i just use a regular mixer? I have not tried that but if you did it on high it should work. Can you make it a day ahead and serve it the next day? I think for this recipe it would be best made the day of. I have entered the recipe into our new recipe card that now provides both calories and carbs. When making, is the butter melted prior to adding to the mixture in the blender? Don’t melt the butter just add it.